​ Springfield opened its doors in May of 1990 with an enrollment of five students and a teaching staff of four. The School was located in the former Burton Village in Walnut Creek where Nob Hill Foods now stands. In its second year the enrollment grew to 80 students and the staff grew to eight. In 1995 the School relocated to its second location during the development of Citrus Center. 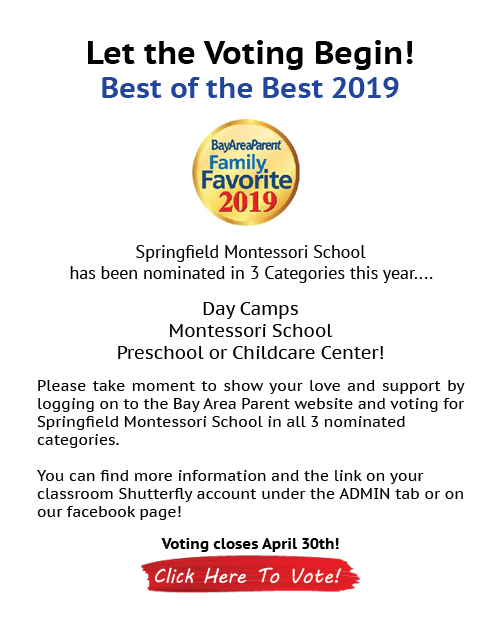 Today, in its 29th year, Springfield Montessori School is located at 2780 Mitchell Drive, Walnut Creek, a 4-acre site in the Shadelands Business Park. 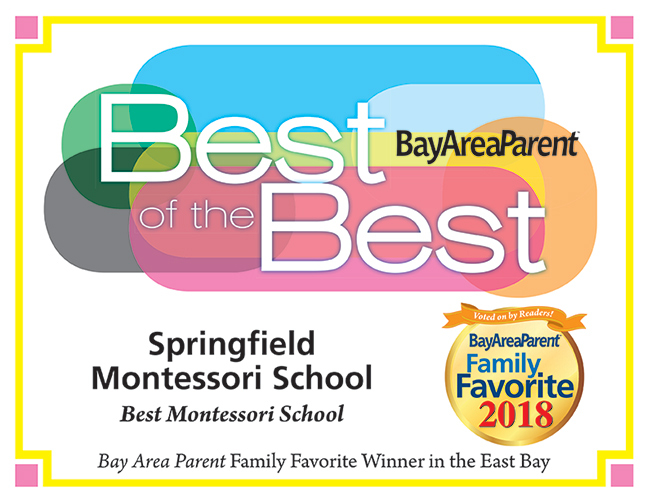 In 2012, Springfield Montessori School Dublin, opened its doors at 5100 Brannigan Street, in Dublin Ranch. The campus is easily accessible from I-580 and I-680, and is in close proximity to Fallon Middles School and John Green Elementary School. The School’s design replicates Springfield Montessori Walnut Creek’s award winning architectural design. The curriculum and operating model are modeled after the highly successful programs in Walnut Creek. The picturesque & serene setting offers an ideal learning environment for the students. Please feel free to visit our two campus websites by clicking on the navigation bar at the top or by choosing an option below.